Mount Sinai Doctors Long Island has the advantage of offering world-class university-based interpretations of all of our advanced imaging. 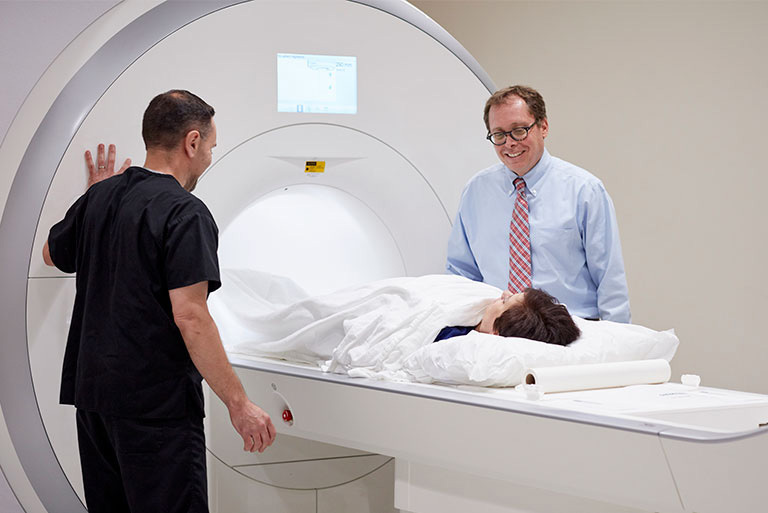 MRIs, CTAs, 4D CT and Parathyroid studies are interpreted by specialty-trained Mount Sinai Health System radiologists. These procedures are performed in Greenlawn and the results are sent via direct link to be interpreted by specialists at The Mount Sinai Hospital in Manhattan. Our radiologists are diplomates of the American Board of Radiology, and our Radiological Technicians are registered in their various disciplines. 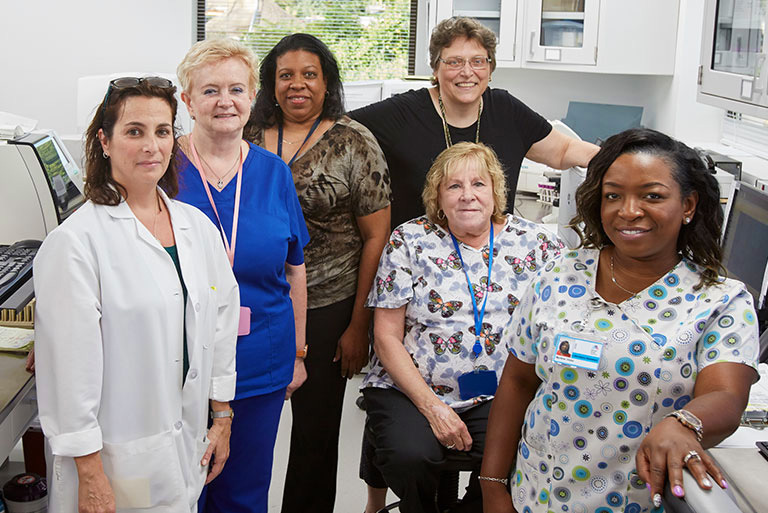 Our digital mammography program, one of the first accredited programs on Long Island, has enjoyed uninterrupted American College of Radiology Accreditation since 1989. Advanced Computer-Aided Detection (CAD) is utilized on mammograms as a “second look” to enhance detection of abnormalities. Mount Sinai Doctors Long Island radiology is fully digital and utilizes the latest picture archiving and communications system (PACS) technology, enabling our physicians to review patient studies at their desktop computers. Use our Patient Portal to access MyChart, where you can manage your appointments, communicate with your doctor, request prescription refills, access your test results and more. Mount Sinai Doctors Long Island has a laboratory onsite at our new facility at 5 Cuba Hill Road in Greenlawn. Staffed with skilled phlebotomists trained to work with patients of all ages, the lab is open Monday through Saturday. Our lab allows physicians to receive urgent results quickly for the immediate diagnosis and treatment of their patients. The physicians of Mount Sinai Doctor Long Island also have access to advanced testing offered by the Mount Sinai laboratory in Manhattan.